Leyton’s mummy, Angela got in touch last week when he was nearly 5 weeks old. I managed to squeeze him in right away and pre-warned mum that babies at this age don’t usually sleep for much of the session making the naked photos very difficult. Leyton clearly took that as a challenge and proved me completely wrong! 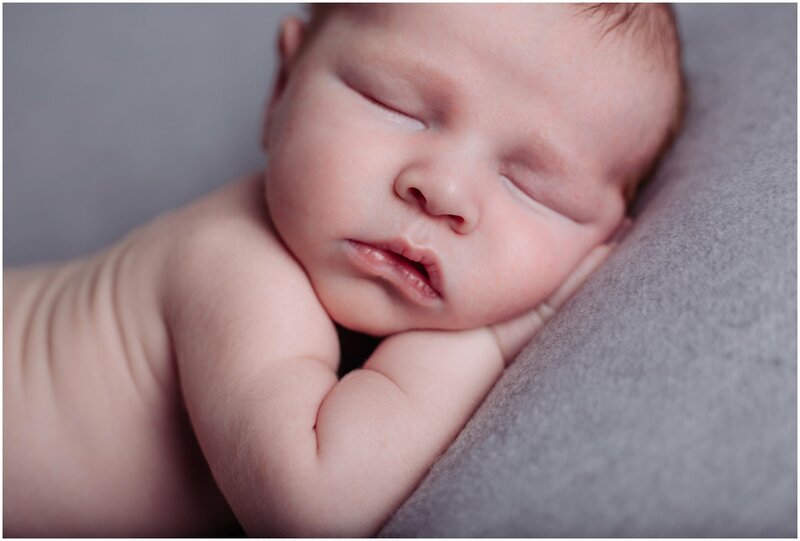 Newborn Babies are classed as Newborn (in a photography sense) until they are around 14 days. 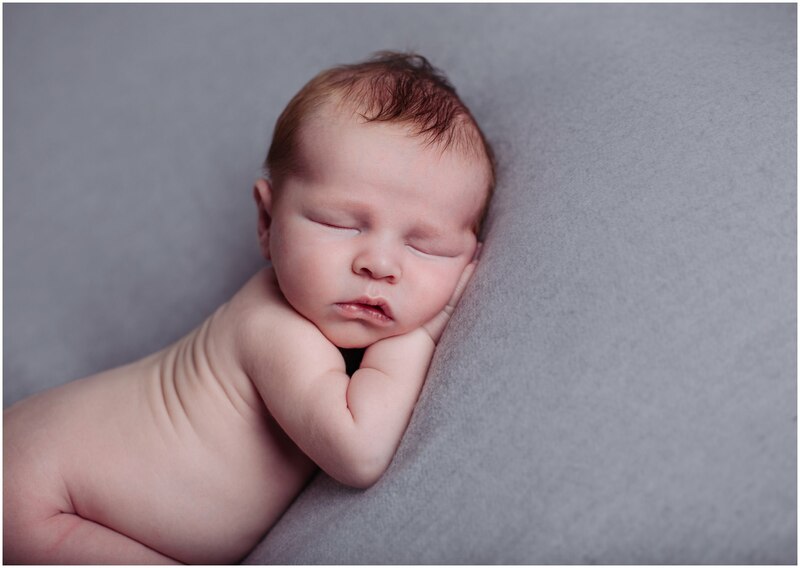 Babies get progressively more alert each day from birth so the ideal time to photograph them at their most sleepy and settled is from 5-10 days. There are obviously variations on this when baby arrives early/late but typically, it can be very tricky to get those curled up bare bum shots the older they get. Leyton arrived fast asleep and I chatted with Angela about how the session would work. I always like to prepare parents so they know what to expect. After a little top up feed we got to work and wrapped Leyton up to settle him and posed him in the log bed and apple crate where he had a little snooze but was very restless. Sessions are always baby led and Leyton didn’t like lying on his back very much so we undressed him completely naked and posed him on the bean back on his tummy where he fell into a lovely deep sleep so we could pose him. To say i was amazed is an understatement! I think Angela may have wondered if I tell all mums their babies are angels. But for a 5 week old baby to be posed like this was rare! Check out my favourites from his session at my home studio in Accrington. 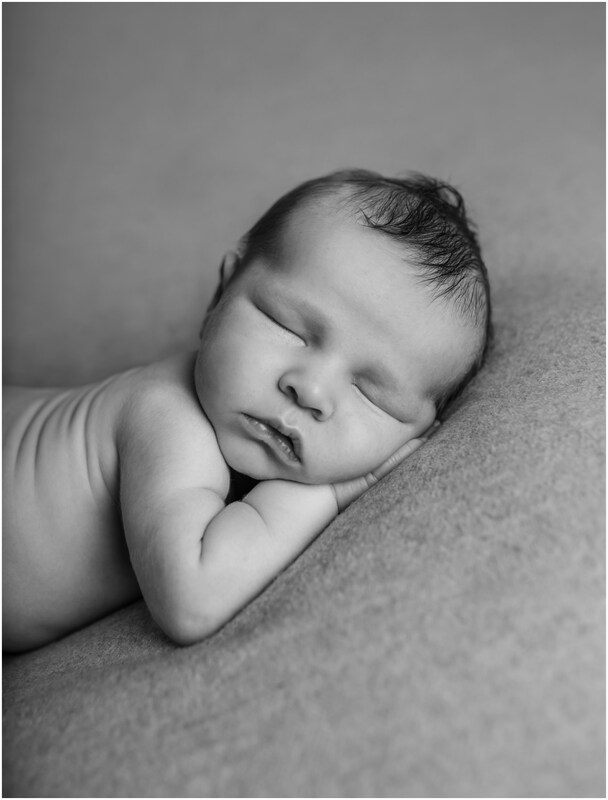 For more information about Newborn Sessions head over to the session info page.